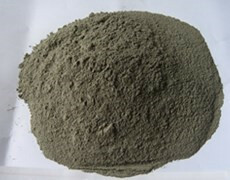 Cement-based Crystallizing Water-proof Material - MUHU (China) Co., Ltd.
It’sgrey powder with major components of portland cement, quality quartz sand, andspecial active chemicals. Itsworking mechanism takes water as conductor. With water leading the way, itpermeates deeply and strongly into concrete micro pores and flows in concreteinner passages. After chemical reaction, it transformed into water-insolublecrystals. The crystals incorporate into concrete structure forming a waterrepellent wholeness which resists corrosion of water or other liquids from anydirection. In this way, it helps resist water and chemical corrosion, protectsteel bars and enhance structural strength of concrete. When the concrete dries, the active substance in cement-based crystallizingwater-proof material will come into hibernation. Once there’s water getting in,the active substance will recover and make new crystals. Concrete applied withthis material has self-repairing function, hence everlasting waterproofability. 1. 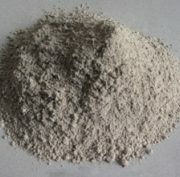 Twolayers of this material on concrete surface will endure water pressure of 1.2MPA and above. 2. Thechemical reaction incurred on concrete surface will penetrate into interioraround 100mm deep. 3. Thewater-insoluble crystals will stuff into cracks and block water passages. Anycracks smaller than 0.4 mmwill get repaired. 4. When itworks at temperature ranging from minus 30 celsius to 120 celsius while its PHvalue is anything between 3.0 and 11.0, its superb water proofing effect is guaranteed.Meanwhile, it has good protection to steel bar and enhancement of concrete strength. 5. It hasgood compatibility with other materials. 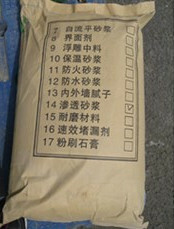 One can brush cement mortar, whiteplaster, paint and epoxy resin coating etc on the waterproof surface. 6. It’s easy for use. There’s no need to scrape concrete surface even. Afterapplication of this material, there’s no need to make a protection coating. Subway, basement, water reservoir, cooling tower, dam,tunnel, roof square, parking platform, elevator floor, swimming pool, foodwarehouse, waste water tank, bridge, aquarium, granary, highway, airport,parking apron, oil tank, stadium, concrete road, lavatory etc. 1. Do not use it in rain or when jobsite temperature isbelow 4 celsius. 2. As this material needs moisture to formcrystallization in concrete, the concrete, no matter newly mixed, or old,should be moisturized. But there shouldn’t be flow water. 3. 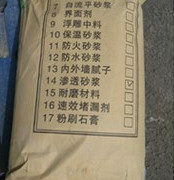 The best timing for using this material is 24 to 72hours after concreting. As the newly cast concrete is still moist, only littlespraying water is required. The concrete surface should be rough and clean. Ifthere’s alkali, dust, coating, film, oil stain, paint or alien things, cleanthem off by chiselling, sandblasting, acid washing, brushing, hosing etc. Ifacid or salt corrosion method is used, it’s necessary to moist the surfacefirst. After acid treatment, the concrete surface should be completely cleaned.Meanwhile, make sure there’s no damage, crack, honeycombing on the surface. Use clean water to cure concrete. After initial setting,mist spraying method is required. Special care should be taken to protect thesurface coating from damage. Spray mist or water 3 times a day and 2-3 days ina row. In hot weather, more spraying is recommended. During curing, protect itfrom rain, frost, sunlight, wind, dirty water and temperature below 2 celsiusfor at least 48 hours after application. When it’s used in enclosed water tankor well where air circulation is not good, please use a fan or air blower tohelp curing. In outdoors, it’s preferable to use wet straw bags for curing. Ifplastic film is chosen, keep it some distance above concrete surface to makesure well ventilation. 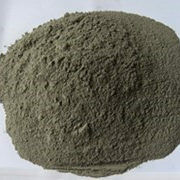 When this material is used in concrete structures thathold water such as swimming pool, water reservoir, water tank etc, the concreteshould be cured for 3 days and kept for 12 days before pouring in water. Incase of concrete structures that hold extremely hot water or corrosive liquid, waitfor 18 days before pouring in liquid.